Lumber & Salt's owner, Lisa Huke, offers mobile DIY workshops where you can create your own custom wood sign. Imagine the possibilities! Lumber & Salt will provide a DIY wood sign workshop during the event. The cost of the workshop will be $20 for a 9”x11” sign. You must register to participate in this activity, pay, and pick your design when you purchase a ticket. A portion of the proceeds will benefit Breaking Free. Sign options for event are below. Are you looking for a game that is different and exciting? 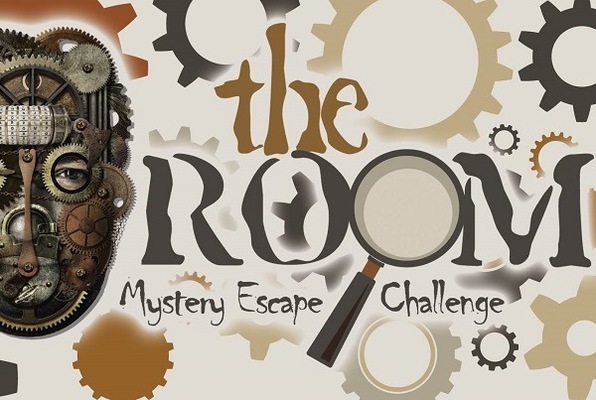 THE ROOM is a live, interactive mystery escape room challenge. It’s a great game for friends, family and co-workers who love solving mysteries or puzzles. The Room Lisle will provide a pop-up escape room during the event. This activity has no additional charge but you must register to participate when you purchase a ticket. Limited space is available for participation in this activity. Jackson started The Perch in 2017 to provide space and skills for soul care. Located in downtown Aurora, The Perch offers workshops, retreats, groups, resources, and more to help you live the thriving, healthy life of purpose you were created for. She holds an MA in Christian Formation and Ministry from Wheaton College and spends time teaching, training, and leading retreats. She has served on staff at several churches and is a former small-group minister. She is passionate about helping people discover their calling and live out that calling in healthy, God-honoring ways. Join Amy's breakout session, "Taking Care of You from the Inside Out" to learn practical ways to take care of your mental, emotional, and spiritual health so you can thrive! Ann Marie is That Girl that gets you organized! As a professional organizer, her mission is to help you get organized and stay organized! That Girl organizes spaces to create function and peace resulting in more free time for you to do what is important! As a a child Ann was fascinated with everything beautiful and neat and that has led her to where she is today. Having four children, a demanding career and a family life, getting organized and staying organized has always been a must for her sanity and the productivity of the entire family! That Girl has figured out that there is not a cookie cutter way to organize everyone. Join Ann’s breakout session, “Moms, Get Organized and Stay Organized” to learn how in a few simple steps you can get your life organized! Join Katie’s stand-up comedy breakout session because laughter is the best form of therapy! Rondi Stickney has over 30 years experience in the fitness industry, and is considered a Master Trainer. She is currently working on Fitness Videos, Online Fitness Challenges, Webinars, and Podcasts with ESWH. ESWH is another company that is on a pursuit to help the obesity epidemic that adults and children are faced with. Rondi has also worked in clinical settings with doctors and physical therapists for the past 20 years and still continues to at this time. In 2009 Rondi developed and trademarked the Monthly Weight Loss program called “Ditch the Diet… it’s a Lifestyle”. This program teaches the development of healthy habits along with identifying better nutritional choices, and exercises that an individual can do in their home making this a “NO Excuses” Program. Join Rondi’s breakout session, “Ditch the Diet…it’s a Lifestyle”, to learn how you can develop healthy habits and watch “No Excuses” home exercise demos that you can do in only 10 minutes a day!